How Much Caffeine Does Coke Have in it? Many people need an extra jolt of energy and alertness to start their day. For most, that probably includes some form of caffeine, whether it be tea, coffee or soft drinks. Some caffeine-containing beverages are healthier options than others, and caffeine content varies among these drinks. Figuring out the appropriate amount of caffeine can be a challenge for some individuals, and finding the healthiest choice possible is important. Caffeine is a naturally occurring substance found in many plant parts like tea leaves and coffee beans. It can also be synthesized and added to food products, such as soft drinks. Caffeine stimulates the central nervous system and makes you feel more alert. Of course, it has negative side-effects as well, including restlessness, anxiety and irritability. Certain populations should limit their caffeine intake. Abruptly stopping the use of caffeine-containing products can cause withdrawal symptoms. 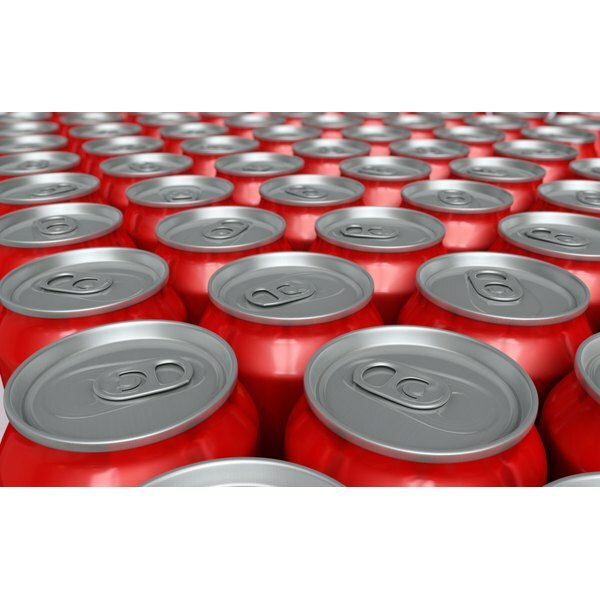 The American Medical Association Council on Scientific Affairs states that moderate consumption of caffeine-containing beverages has no negative effect on overall health. For the general population, about 250 milligrams of caffeine per day is considered an average or moderate intake. Certain groups of people should limit their caffeine intake, however. These include children, people with chronic headaches, people with acid reflux or stomach ulcers, people with uncontrolled high blood pressure and pregnant women. Compared to energy drinks, Coca-Cola has relatively little caffeine. Coca-Cola contains 35 milligrams of caffeine in a 12-ounce serving, and a typical cola drink contains 25 to 50 milligrams of caffeine. By comparison, some energy drinks can contain up to 280 milligrams of caffeine per 24-ounce serving. Depending on how strongly coffee is brewed, it can contain any amount of caffeine, but it typically contains 100 to 200 milligrams of caffeine per 16-ounce serving. Because a moderate amount of caffeine has been deemed an acceptable part of a healthy diet, you can safely include caffeine in your daily routine. Some options are healthier than others, however. Sodas are typically sweetened with sugar or high-fructose corn syrup. Similarly, many popular lattes and specialty coffee drinks have added milk or cream and may contain sweetened syrups. Drink these beverages in moderation, as all contain added calories that are not found in plain black coffee or unsweetened tea. Does Crystal Light Peach Tea Have Caffeine?